Wooshay & Dav @activepoet teamed up to create a record for the Bay! Watch the music video below! House music was a huge inspiration behind the Wooshay sound, and although the lack of house records may not reflect that, ‘Right Now’ with the talented Sean Okuniewicz was a chance to show the impact that it had. An explosive collaboration with Jacquie Joshua who is a San Francisco based singer that has been on a tear recently. The combination of her voice along with the Wooshay sound created a strong record which was approved and released by ‘Your Secret,’ a music label under Artist Intelligence Agency. The record was released on January 15, 2019. 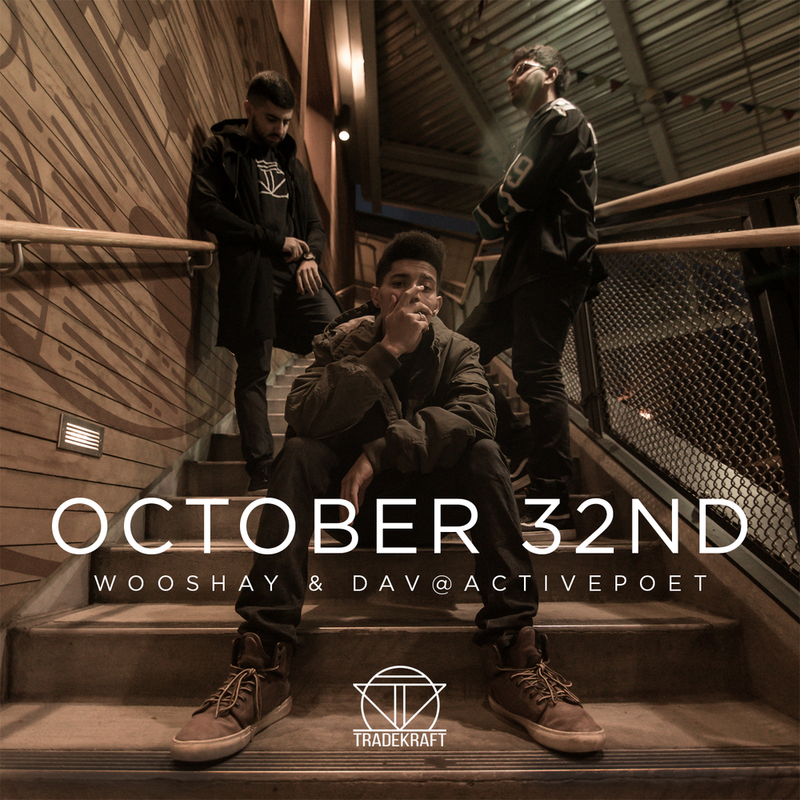 With this collaboration with Dav @activepoet & Slvmm, Wooshay was set on tapping into the hip-hop market with an acoustic twist. Using a guitar, a silver mic, and a green truck, Wooshay & friends also worked together to create an awesome music video with SB Films! Latest collaboration with Puga & Slvmm featuring Korynn OC. A motivational song for the ones who work hard at what they do every single day! Put a lot of effort into this one andI'm looking forward to showing you guys the music video we produced! An edit of an old classic <3 Hope you guys like it! Produced by Wooshay & Slvmm for Dav @activepoet, this Soundcloud exclusive is a electronic/hip-hop hybrid with a Bay Area twist. Produced two tracks for the Tradekraft & Friends Valentine's EP, XO3. 'You & I' Music Video by SB Films out now! Wooshay's submission for the 2017/2018 Countdown Discovery Project which includes 5 original tracks! The sound was exactly what the duo was going for and Deanna helped take it to the next level with her amazing voice. Alone was accepted by Ivory Oasis and was released on November 2nd, 2017. The first independent project for Wooshay, featuring artists such as MRVLZ, Dav @activepoet, Flammy Marciano, Trïsch, & Sean OK. The introduction of Superbloom is an amazing music video by SB films. 'Too Young' featuring Dav @activepoet & Skylark was a song that was kept in the books for a very long time but finally came out as something extra creative. The duo's second label release, a collaboration between Wooshay, Skylark, & Kyla Fava. The Future Bass hit was released on Sup Girl Records out of Australia & was even remixed by DJ Tigerlily, reaching thousands of plays worldwide. Shortly after October 32nd, Wooshay released a track with Tradekraft Collective for Valentines Day. It featured Dav @activepoet and a great singer emerging from San Francisco, Korynn OC. This project that was the start of the journey between Wooshay & Dav, as well as the first time the duo experimented with Hip Hop & RnB. Track #4 on October 32nd, 'Middle' featuring Jonia has a one-shot video taken by none other than SB Films, with support from actors Melissa Baxter & Cesar Mendoza. Wooshay's first label release on Wanderlust reaching half a million streams worldwide. The scene was constantly changing, it was chaos, and Wooshay was in the middle of it. The remix sounded absolutely terrible, and the two friends now deny any association to that remix or to any knowledge that it actually exists.